We want our clients to have a pleasurable and satisfying experience while we offer superb quality with excellent value. We offer individualized attention to every client. Dedicated to building distinctive, custom dream homes since 1987. 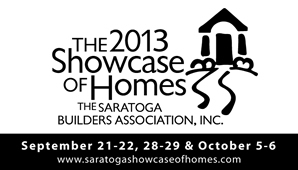 A capital Region native and Siena college graduate, Scot Trifilo founded Terrace Homebuilders in 1987. Since then he has been dedicated to building superior homes with simple timeless principles and a meticulous attention to detail. Home sites are available from the Capital District to the Lake George region, or let us build your dream home on your own private home site. "Custom homebuilding is about partnership and attentive communication. We provide unparalleled personal service and sustained satisfaction."